This seamless decorative concrete flooring is made from modern, mineral, materials and designed for life whether at work, at rest or at play. The smart alternative to polished concrete, this trowel applied microscreed floor finish offers many advantages. When polished concrete is applied over underfloor heating at home the risk of cracking is extremely high, due to shrinkage during hydration and the commissioning of the underfloor heating system. These cracks cannot be removed and are left in a polished concrete floor. However, our Microscreed can be applied over a traditional cement screed or an anhydrite (calcium sulphate) liquid screed after the underfloor heating has been commissioned and after most shrinkage has taken place. Also by using MC Elastic our fibreglass reinforced base layer the risk of future hairline cracking can be eliminated. Traditional screeds and concrete cannot be installed over raised access flooring in the workplace, as they have limited tensile strength and as such would crack and fail. Also the depths of material required and the point loading means they would be too heavy. Our Microscreed can be applied to raised access flooring, along with MC Elastic our fibreglass reinforced base layer and our proprietary dry screed boarding system. We have a proven ‘crack free’ system that has been installed to the most prestigious office spaces in the country. Shop fitting or the refurbishment of bars, cafés or restaurants are often time sensitive projects and the instinct for most designers and Architects is to ‘rip out’ the existing flooring and pour a new screed and new floor finish. This can be both a time consuming and costly activity. We have engineered flooring systems that are low build up, lightweight and designed to be applied on top of existing flooring finishes, such as tiled floors. 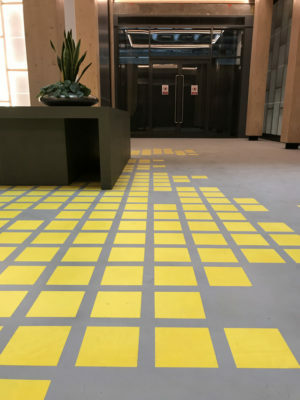 Our Microscreed can be applied on to existing tiled floors, along with MC Elastic our fibreglass reinforced base layer, so long as they are in a reasonable condition. We have a proven ‘crack free’ system that has been installed to the most recognisable retail spaces in the country. Why choose Microscreed instead of polished concrete? 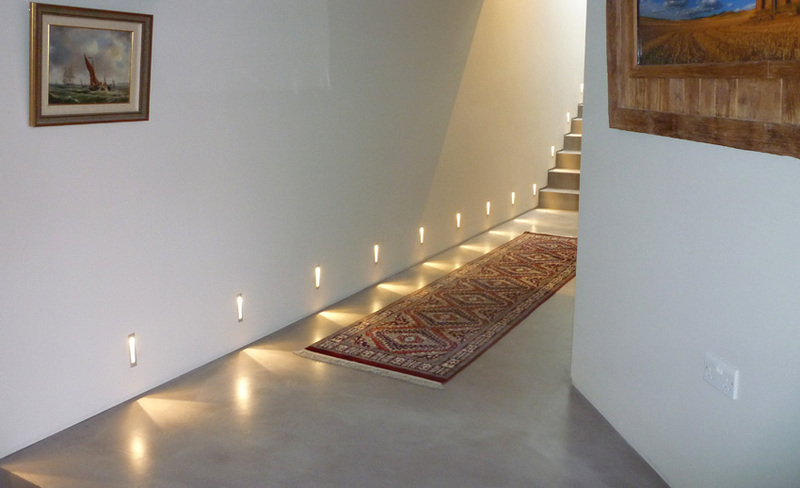 Microscreed can provide a number of features that a polished concrete floor cannot. Microscreed used with our MC Elastic has tensile qualities, whereas polished concrete floors are brittle. This ensures that they are less prone to cracking. Microscreed will not stain in the same way as a polished concrete floor as we use specialist polyurethane sealers. 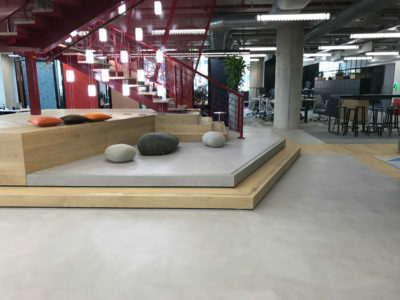 Polished concrete floors are traditionally grey whereas these modern mineral materials can be created in a wide range of colours, tones and aspects. For further information about our Microscreed flooring, or to speak to one of our skilled team about how Microscreed flooring can provide a stylish alternative to polished concrete floors. Please call us today on 01446 746555 or e-mail us using this form.